Cliffs of Moher – (pronounced more) another incredible sight in Ireland. 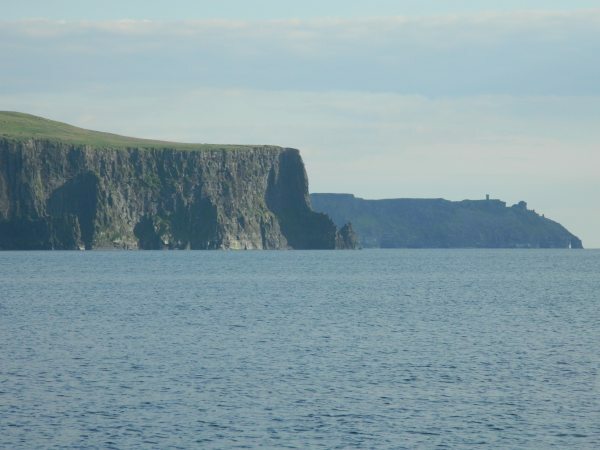 For five miles these dramatic cliffs soar as high as 700 feet above the ocean. 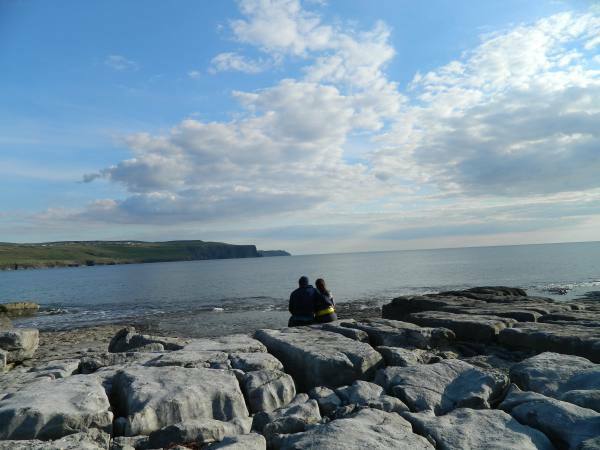 The dramatic limestone beaches along these shores have been quietly eroding away since the last ice age. 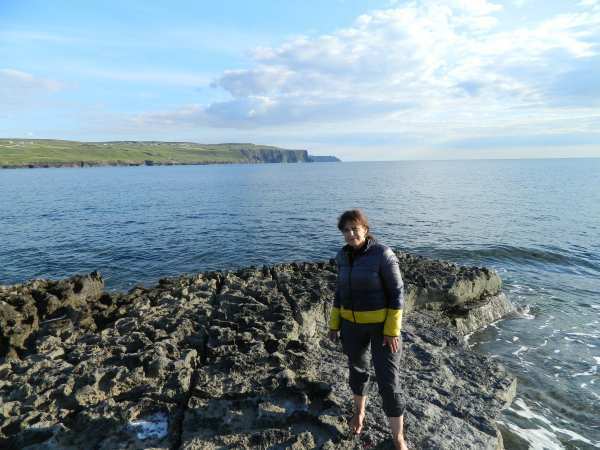 As we walked along these breathtaking shores, we marveled at their beauty and their history. 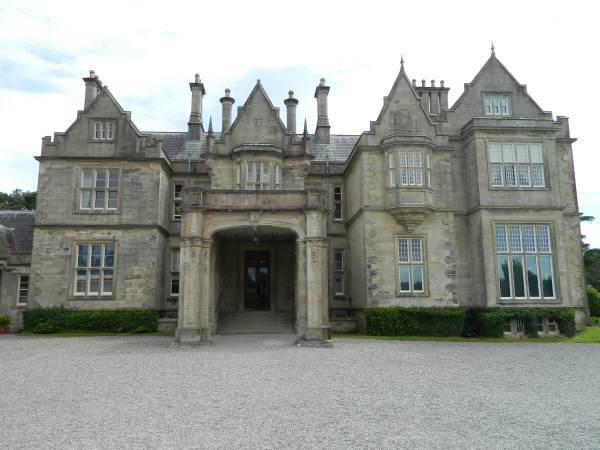 Lovely towns and sites of Southwest Ireland. 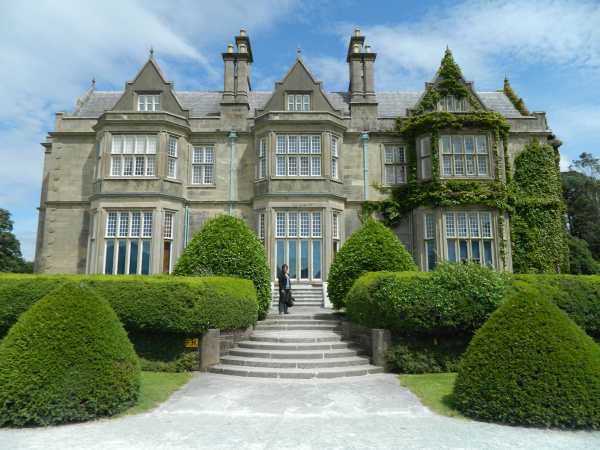 Muckross House is a stately Victorian home at the edge of Killarney National Park. We enjoyed our tour that included the estete withs its exquisite furnishings, and breathtaking gardens. It was disturbing to go into the servants quarters after the opulence of the house. Located in the dark, damp basement, the upper walls were lined with 32 bells of various sizes, which were used by the owners and guests to summon the help. The servants were required to answer the bells at anytime of the day or night. We peasants had to use the back door. 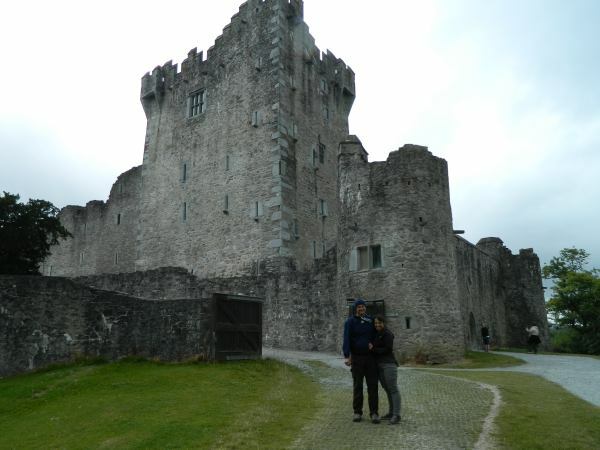 Ross Castle – stately and yet somehow elegant, this castle comes with its own ghost story. You never know what lurks in the shadows. 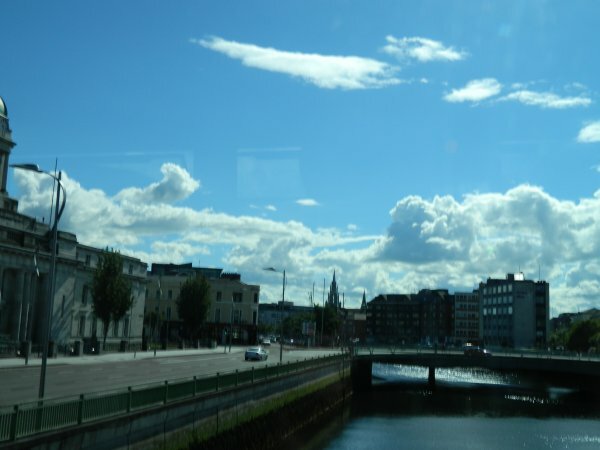 Cork – Like Venice, Cork City is built upon water. The city center is built on an island connected by many bridges. The city views were amazing and the architecture interesting. We enjoyed the local pubs for their corned beef salad sandwiches, local stores for their beautiful handmade items and the city for it edgy vibe and friendly people. 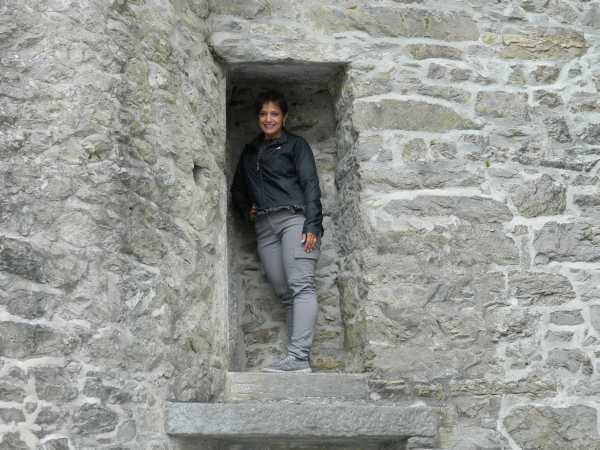 We climbed to the top of the tower at St. Anne’s Church and enjoyed the breath-taking 360 degree views. We enjoyed visiting this town seeped in history. It reminded us a bit of San Francisco. We especially enjoyed the English Market, with its stalls of traditional Irish food as well as food from all over the world. 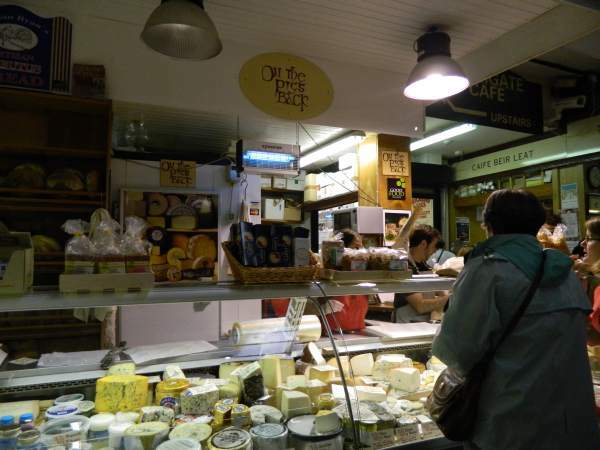 We purchased fresh bread, three types of cheeses that we had never tried ( loved them all), rosemary and basil olives, sun-dried tomatoes in herbs and olive oil, and Irish Spiced Beef. We then had an enjoyable picnic on the green with enough left over for dinner.